FJK Dance is a contemporary dance company founded in 2014 by Fadi J. Khoury and Sevin Ceviker. Dedicated to presenting a unique fusion of dance genres, it fills a void in the current dance scene, fusing the vocabularies of various genres – modern, jazz, classical ballet, ballroom, and traditional folkloric – into a language that expresses a fundamental, shared capacity to create. Through our performances, FJK supports cross-cultural dialogue, infusing its works with positive images from many dance traditions. We are a dance company that sets a high goal: to rethink the possibilities of dance as an avatar of social awareness and change, and to demonstrate to the dance community that choreography should not be confined by stylistic limits or preconceptions. We experiment with the fundamentals of various dance forms, from classical ballet to ballroom and Middle Eastern to jazz, and perform in national as well as international venues. FJK is also an educational entity. We perform and give lectures and workshops that address diverse cultural groups and promote peace and tolerance through art. 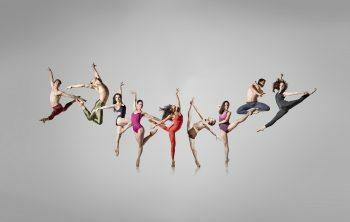 Original choreography and unique collaborations invite our audiences to expand their perceptions of multiple styles and cultures, Ultimately, the company is about demonstrating the elegance of freedom.